Contact the seller in the "Contact Seller" section to the right. No login is required. 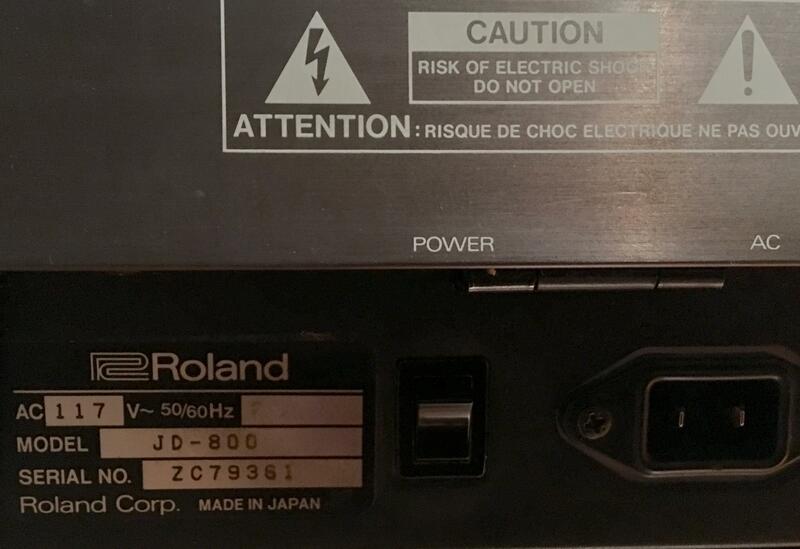 This is a near mint condition Roland JD800. 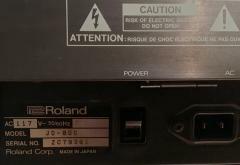 This particular model is owned by producer / remixer, King Britt. This edition was used as his signature ‘Scuba’ sound for many years. Half of the patches are custom, that have appeared on so many remixes & recordings from Everything But The Girl (Rollercoaster) to Miles Davis (Shhhhhhh! Sea4Miles Remix) to all of his signature Scuba remixes. Also in all his production from 1992-2015. 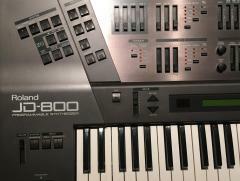 One of the best keyboards for sound design and textures. Always in a smoke free studio and is near mint (a small scratch on the left side). Comes with original manuals and a bonus ‘pop’ sound card in back. Sounds amazing and no issues at all. Making more room in the studio, our old friend has to go. Original information : The JD-800 combines sample playback with digital synthesis, a process that Roland calls Linear Arithmetic synthesis, a technique Roland had been using to great effect in the Roland D-50. The JD-800 has 108 waveforms built-in, but these can be expanded via PCM-cards. There are waveforms in a variety of categories, like; analog synth, acoustic instruments, like guitars, woodwind, brass and voices. Most of these waveforms are very short and are designed to give character to the attack portion of a sound, while some longer ones are designed for creating pads, or the sustained part of a patch. 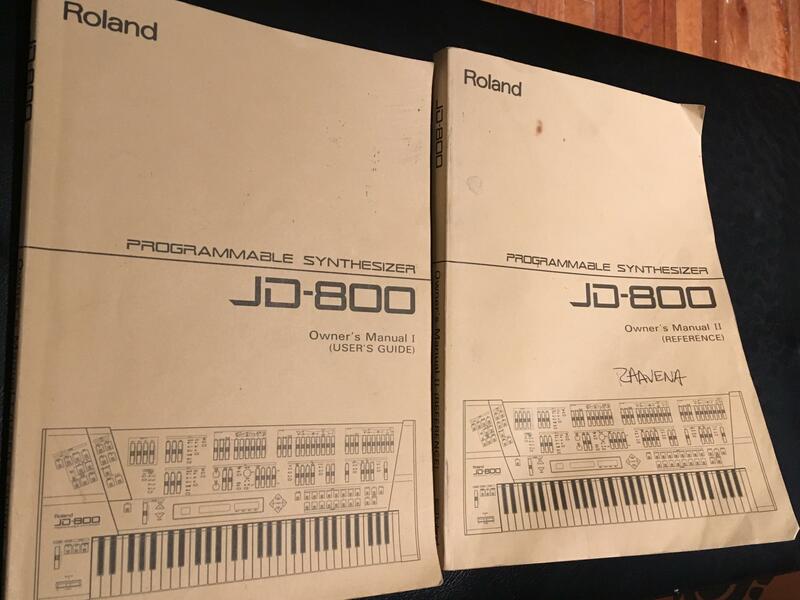 The JD-800 was the first instrument from Roland to have its core sound set of waveforms developed entirely in the United States, under a short-lived branch of Roland's R&D-LA office in Culver City, California. 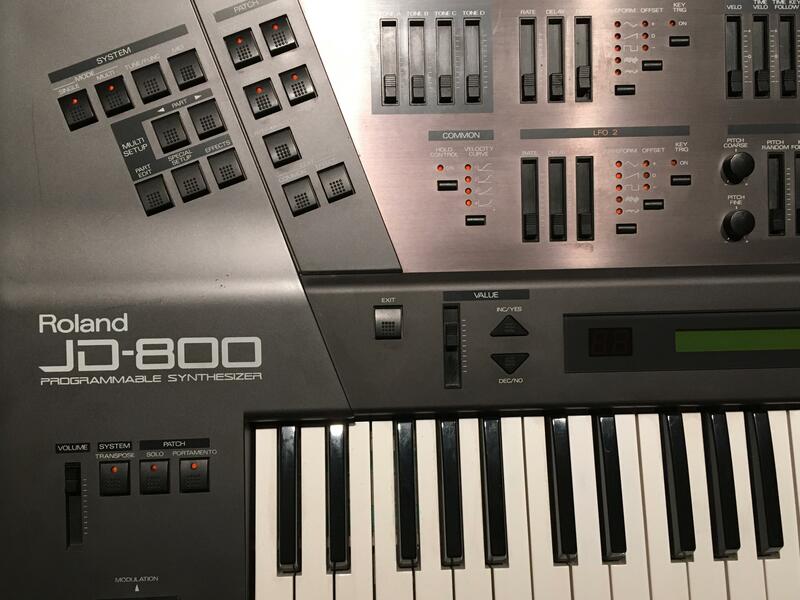 The core sampled waveforms and Factory presets of the JD-800 were created by Eric Persing. Do not accept cashier cheques from outside your country.